*Subsequent price increase is a reflection of added grooming fee for each additional training ride. clinics with notable trainers such as George Morris, Anne Kursinski, Victor Hugo Vidal, Karen Healey, David Wightman, and Buck Branaman. Angie currently owns two Dutch warmblood mares. 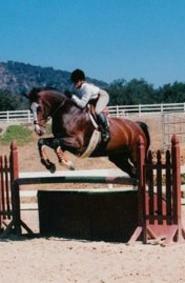 Born in 1995, Novelty received 1st placing in the U.S. at her 3 year old KWPN keuring. Novelty has since produced two top five foals, including Avion, a 2005 replica of Novelty. Angie currently lives in Malibu with her husband, Joey and their two boys. Angie Lapinski will customize a step by step training program that will fit each horse and rider. In addition to jumping, Angie teaches the basis fundamentals of dressage and incorporates cavaletties and gymnastics to improve balance, rhythm, and form over fences. She instructs her students in horsemanship and encourages them to develop confidence in themselves and their horses. She takes her students to local shows including Hansen Dam, Burbank, Moorpark, and Newhall. Angie started riding when she was 9 years old and showed in the pony division. 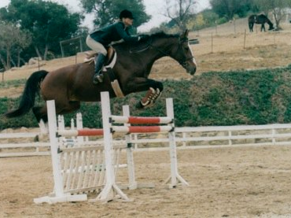 She moved to Malibu in 1981 and started riding hunter/jumpers with Markley Chaffin and Chip Mandeville. In 1983, Angie became Markley and Chip's assistant. Angie branched off in 1990 to start her own training business. 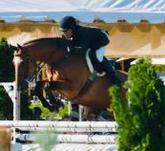 She trained in Malibu at various barns for almost a decade. She also managed the English shows for the Trancas Riders & Ropers from 1991 to 1994.